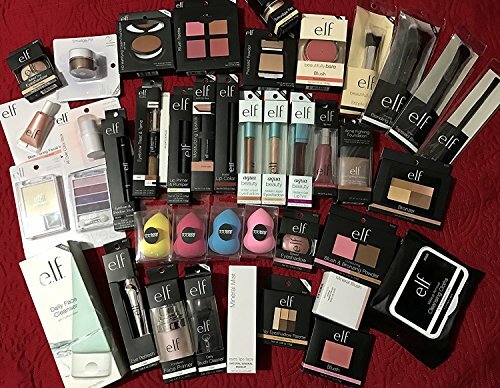 Lot of 10 pieces of e.l.f. Cosmetics makeup. Blush, Mascara, Primer, Lipstick, Mineral, Cream, Powder Foundations, Lip & Eyeliners, Eyehadows, Lip Glosses, Brushes and More. No special requests, please.Total 11 items included. Item may differ or various from the image.